I learned shogi a couple of years after finishing high school. I had just turned twenty, and a Japanese friend who was tired of losing chess games to me pulled out his shogi board and taught me Japanese Chess. Of course, he won all the shogi matches we played. When he and I were no longer living together, we never found time to play shogi. This was in the days before the Internet, so finding anyone new to play shogi with was nearly impossible. So few Americans even know what shogi is, that it is very difficult to meet new shogi players. My cat prefers to play ranging rook. 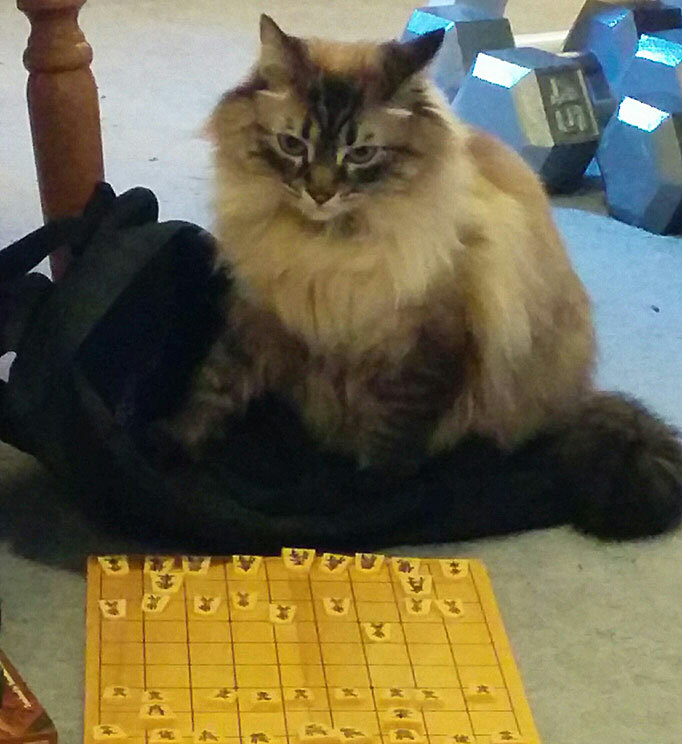 In fact, all the pieces tend to range very quickly with her paws on the board.